(RNS) — Our national game is in trouble. The Boys of Summer are back and another baseball season is underway, but the game is declining in popularity, losing ground to endless digital amusements and to other sports. The world of religion offers clues to the causes and consequences of the present troubles. It also suggests what it will take to revive the great American pastime. 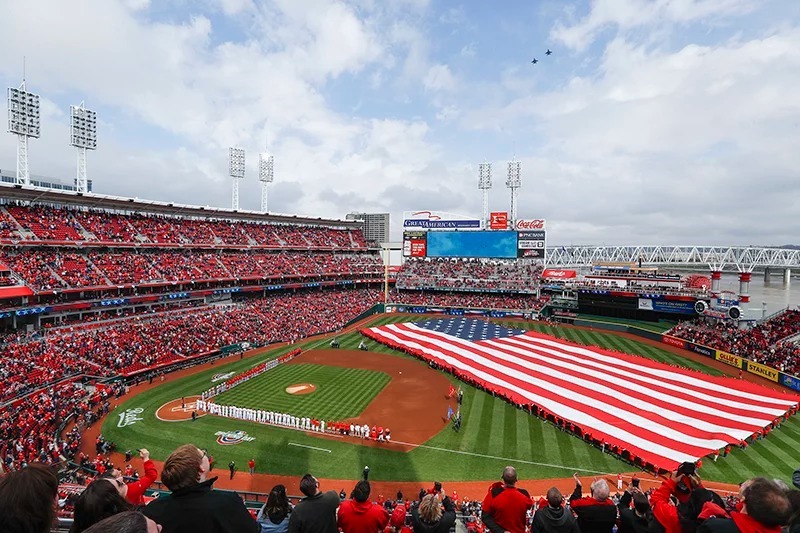 Spectators stand for the national anthem before an opening day baseball game between the Cincinnati Reds and the Washington Nationals on March 30, 2018, in Cincinnati. (AP Photo/John Minchillo)For baseball, the statistics are damning: The game’s fan base is simply too white and too old to have a future at the heart of American society. There are not enough young fans to replace the ones passing away, and though teams remain profitable and player salaries continue to increase, a day at the ballpark is a luxury more and more American families simply cannot afford. Even worse, there are fewer families to keep a baseball culture alive. When more people live in households of one, the atomization and estrangement of modern life make an afternoon or evening at a ballgame seem like a throwback to another time. When boys grow up without fathers, it is much less likely that they will learn to love, play or appreciate the game. Baseball needs a revival — and not unlike that of religion, a dimension of American life that persists across the ages in spite of dire predictions year after year. First, let us consider demographics. As much as religious market share seems to be determined by popularity and consumer choices, it is really a function of sociological trends. Religions with higher rates of fertility, intramarriage and adult retention tend to grow numerically. 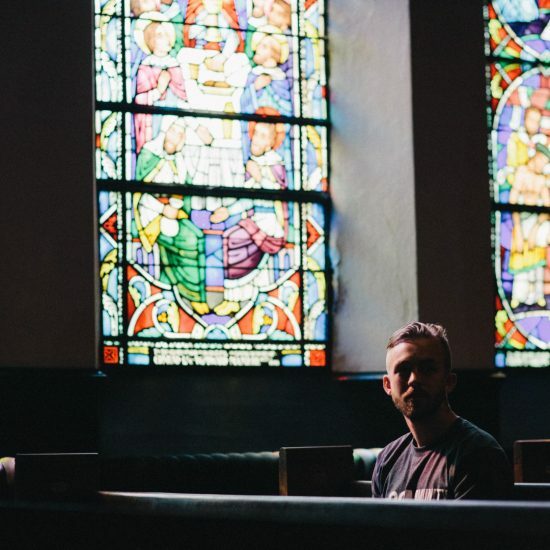 Faith groups with low rates in these areas almost always decline. This is not to say that baseball fans should only marry each other and must from birth introduce their children to the glories of baseball — though it would help. The point, rather, is that when families are smaller and fewer children carry their baseball fandom into adulthood, support for the game declines. Large sections of empty seats are shown during the sixth inning of a baseball game between the Seattle Mariners and the Texas Rangers at Safeco Field, on Sept. 8, 2015, in Seattle. The announced attendance of 13,389 was the smallest home crowd of the 2015 season for the Mariners. Many MLB teams struggle with low attendance. 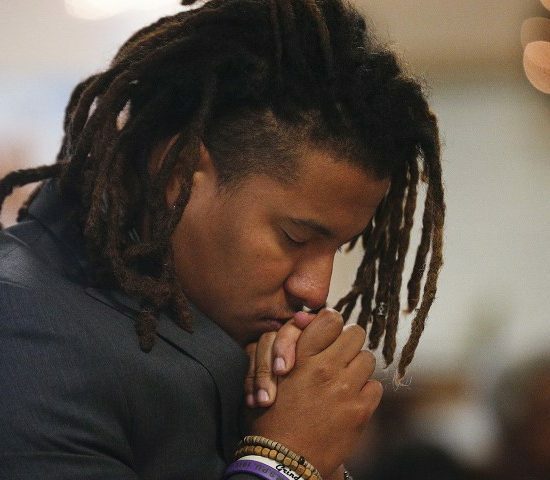 (AP Photo/Ted S. Warren)Second, the role of religion in society depends to a great degree on its symbolic importance. Apart from any divine or human blessings that accrue to its adherents, religion benefits when the culture at large decides to support, subsidize and encourage it. Baseball has an advantage here, as its status as our national pastime is irrefutable. Major League Baseball attendance is more than three times higher than the NBA and NHL, and more than four times higher than the NFL. With its grueling 162-game schedule, the baseball season is a longer-lasting and more durable feature of our calendar and our culture than football, played one day a week in the fall. Third, religion flourishes in a plural public square. Like religions, baseball should not insist that it be the only sport — only that it is better than the others. Competition with other teams and other sports for fans’ allegiances should make baseball attentive to what people want out of the ballpark experience and how to mediate the game to them through television, mobile apps, etc. But in the end, religions stay fundamentally true to their core teachings, even as they are shaped at the edges by the demands of consumerism and pluralism. Religions that change too much in order to appeal to more people are doomed to decline. Likewise, baseball must resist the temptation to change the character of the game by acclimating to the supposed preferences of people who find it boring anyway. The designated hitter rule — which allows teams to have another batter hit in place of pitchers in American League parks — and expanded divisions and playoffs arguably made the game more exciting. But let us not deny that something was lost. Instant replay erodes the time-honored authority of umpires. Whether it changes something essential to the game is debatable. Current innovations like the automatic intentional walk are just silly. Horrible proposals like starting extra innings with a runner on second to make tied ballgames end sooner remind me of churches that €œinnovate€ with terrible music or by offering milk and cookies for Communion instead of bread and wine. These smack of appeals to people who do not want the product you are offering anyway. Baseball could learn much from religion on that front, as many innovations have not only failed to reach new adherents, but turned off the longtime faithful as well. Finally, the most obvious parallel between religion and baseball’s current situation is evangelism. While demography is destiny in the aggregate, it remains true that a faithful witness goes a long way and can indeed change hearts. Baseball evangelists need not denigrate other sports. They should, however, speak boldly and confidently about the greatness of the game. Like religion, it takes a lifetime to truly €œget€ baseball. But you can decide at any moment to become a fan. In the end, religion must be faithful to itself. The same is true of our national pastime. A watching world will see in the constancy, integrity and permanence of baseball the truth, beauty and goodness to which it points.